Josh serves as Director of Research at RBO. His responsibilities include fundamental security analysis, shoe-leather research, portfolio management, and client service. Josh began his career in investments as a research associate at Sanford C. Bernstein in New York. He then spent six years as analyst and telecommunications sector portfolio manager at TIAA-CREF in San Francisco. 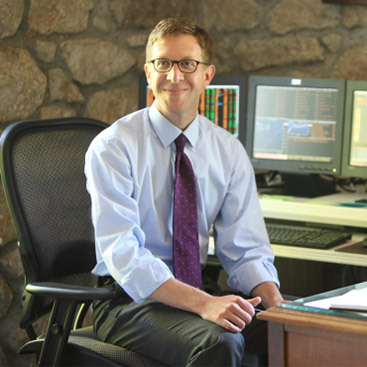 Prior to joining RBO, Josh worked as an independent consultant for hedge-fund, mutual-fund, and private equity clients. Josh holds a B.A. from the University of Missouri, Columbia with a major in Finance and Banking and an M.B.A. from the University of California, Berkeley. Additionally, he is a CFA charterholder. Josh serves as a member of the Organizational Sustainability Committee with the Arts Council Napa Valley. Josh lives in Napa with his wife and daughter and enjoys reading, running, fishing, yoga, and projects around the house.